Coming to stay in Sussex for the May Half Term? Wondering what to do? Wonder no more as Happy Homes bring you our top five things to do next week in Sussex. And if none of these take your fancy, please do get in touch as we have a wealth of knowledge as to what is happening across the area. We are more than happy to help with suggestions of what to do whilst you’re away! Step back into 1474 at Arundel Castle from 26th to 28th May. The castle here is a firm favourite of ours as it is simply stunning, but this three-day event enables you to really get a feel for medieval times. Twice a day, English and French forces will battle with replica cannons, knights and archers to try and gain possession of the castle. Find out more about the siege on thecastle website. The first Star Wars film was released in 1977 with nine films released over the last 41 years, making it a favourite with young and old alike. Hove Museum and Art Gallery are hosting a display of vintage Star Wars toys and memorabilia from the 1970s and 80s. We come over all nostalgic for the toys we enjoyed playing with as children and it’s a great opportunity to catch up on all the latest Star Wars films too. Thisexhibitionruns into June giving you plenty of time to visit. 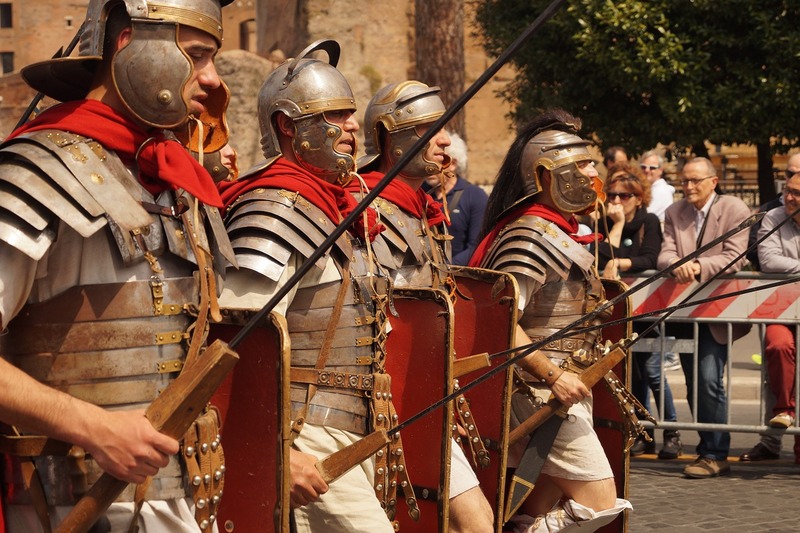 Returning for the third year, Roman Week takes over Chichester during May half term, celebrating the area’s rich history. The event is led by the Novium Museum and promises to be bigger and better than ever. There are Roman re-enactments in Priory Park with talks, demonstrations, displays and battles. On Friday 1st June there’s a Roman Market as the Chichester Farmers Market becomes a Roman market with theatre and dressing up. The Novium will have a pop-up museum in the House of Fraser with examples of archaeology that were originally excavated from the House of Fraser site. The children can also take part in themed Roman treasure hunts, with 26 objects to find in shop windows throughout the city centre. For full details of what’s on during the week, please visit theNovium website. Join the grand unveiling of the new Alice in Wonderland Sculptures inHotham Park in Bognor Regison 27th May 2018. The sculptures will be revealed at 2.15pm with a theatre production at 4pm from the Bard and the Troubadour theatre company. These sculptures join the Mad Hatter wood carving as part of the park’s Alice in Wonderland trail. The Mad Hatter sculpture is a permanent fixture in the park and depicts the Mad Hatter’s Tea Party; there is an 8ft x 2.5ft table with clocks in each corner, playing cards down the centre and 8 mushrooms as seating, with the Mad Hatter as a separate figure. The park is fantastic for a day out, we’d highly recommend it. Rather unusually, there is a llama parkin Sussex! This 33-acre park is close to the stunning Ashdown Forest which is in an ‘Area of Outstanding Natural Beauty’. In the park, you’ll not only find llamas but also alpacas, reindeer, horses, donkeys, Jacob sheep, Kune Kune pigs, peafowl, and poultry. If you book in advance you can take a llama for a guided walk around the grounds. There’s also woodland to explore together with a play area for the children and that all important tea room and coffee shop! Whatever you do decide to do whilst staying in your Sussex holiday cottage, we hope you have a fantastic time. Don’t forget, we’re always on hand should you need some advice or information on the local areas and events taking place. You can contact Christopher and the team on 07825 212834 or email hello@happyhomesmanagement.co.uk.